The purpose of the author, upon starting out, was to gather in a convenient and permanent form a full and reliable epitome of the history of Newark, from its settlement in May, 1666, to the year 1878; to show what it was as a tender infant, struggling to survive “ the thousand natural shocks “ that infancy is heir to; what it was as an active, supple-limbed youth in the time of the learned and saintly Burr, the parent-president of Princeton College, Newark’s fame-crowned nursling of 1747— ’55; what it was when its soil was hallowed by the footsteps of Washington and his illustrious compatriots, and enriched with the blood of many “ native here and to the manner born,“ in the years clustering around 1776; what it was half a century ago, when its population numbered about a thirteenth of what it now is; what its record has been in “ times that tried men’s souls,“ and in the „piping times of peace“; what it has done during two hundred and twelve years for the cause of civil and religious liberty — the bed-rock foundation of American institutions; and, finally, to set forth most fully what Newark is now, in the year of grace, 1878. It is for the reader to judge how great or how little has been the success of the author in the direction described. In the writing of this history the aim has been to give in a simple narrative all facts, both great and seemingly small, that tend to show how the Newark of the present day has been built up, generation by generation. Anything and everything that seemed to add life, light and color to the story, that was to be found and was authentic, has been made use of. A sincere effort has been made, also, to make the history attractive and interesting to those who, although they may care little for the reading of history, may wish to become familiar with the making of their own city from the day of its foundation as a hamlet, to the present. This is volume two out of two. A History of the city of Newark, New Jersey, Volume 2. In the writing of this history the aim has been to give in a simple narrative all facts, both great and seemingly small, that tend to show how the Newark of the present day has been built up, generation by generation. Anything and everything that seemed to add life, light and color to the story, that was to be found and was authentic, has been made use of. A sincere effort has been made, also, to make the history attractive and interesting to those who, although they may care little for the reading of history, may wish to become familiar with the making of their own city from the day of its foundation as a hamlet, to the present. This is volume one out of two. 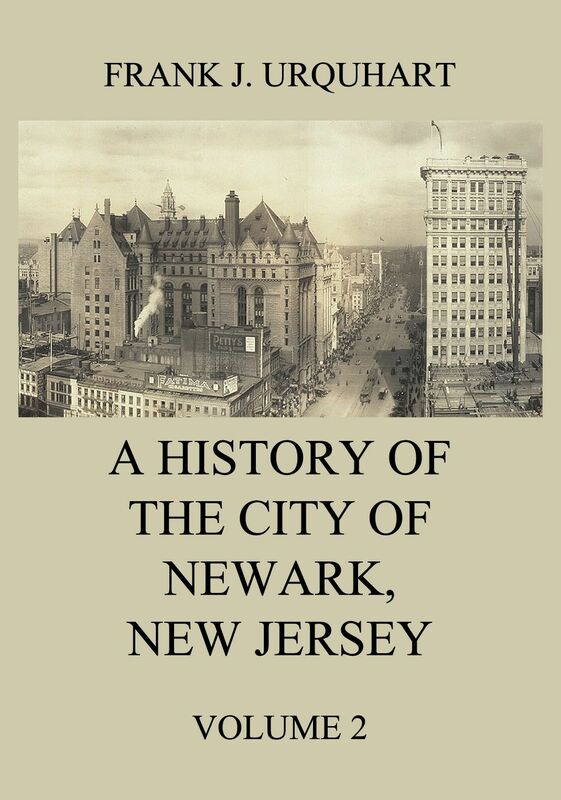 A History of the city of Newark, New Jersey, Volume 1.